Nissan took the wraps off a mildly refreshed version of its 5-passenger midsize crossover SUV at the 2018 Los Angeles Auto Show. The 2019 Murano receives a styling facelift, a freshened interior, and the availability of the Nissan Safety Shield 360 suite of safety technologies. 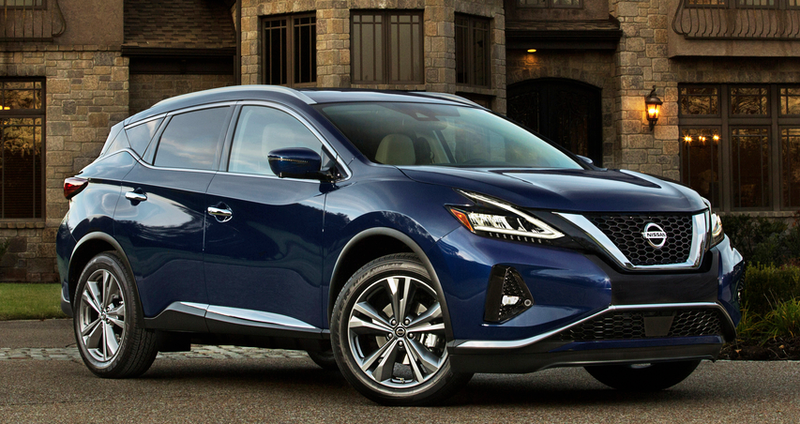 The updated Murano’s bolder grille, redesigned LED headlights and taillights, and new LED foglights bring its styling more in sync with Nissan’s latest “V-Motion” design language. Interiors receive some minor trim updates as well; Murano Platinum models get semi-aniline leather seats with diamond-quilted inserts and contrasting micro-piping trim, as well as Dark Wood-Tone trim inserts. There are also a couple new wheel designs and three new exterior colors. 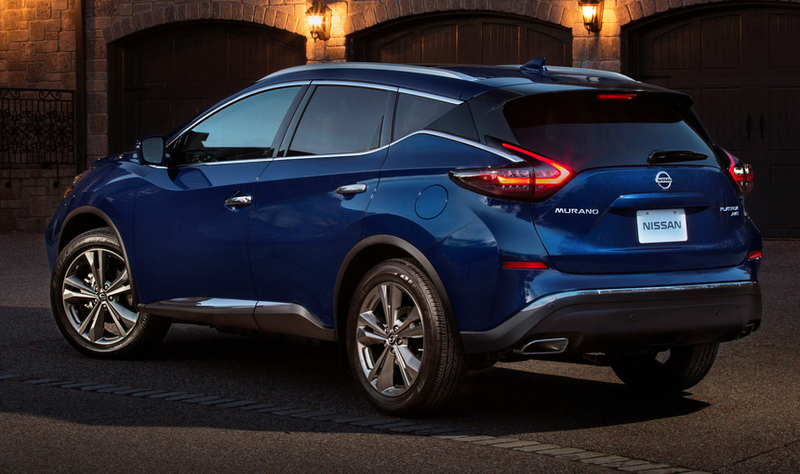 All 2019 Muranos get Nissan’s Rear Door Alert, which reminds drivers to check the rear seats when exiting the vehicle, and Intelligent Driver Alertness monitor. The available Nissan Safety Shield 360 suite of technologies includes automatic emergency braking with pedestrian detection, rear cross-traffic alert, lane departure warning, high-beam assist, and rear automatic braking. The showroom debut of the 2019 Nissan Murano is just around the corner… it’s set to go on sale in December 2018. The current-generation Nissan Murano went on sale as a 2015 model, so it was about due for a freshening. Nothing too earth-shaking here, but the 2019 updates should help keep the Murano relevant against its class rivals. 2014 BMW 2-Series: Twice the Appeal of the 1?